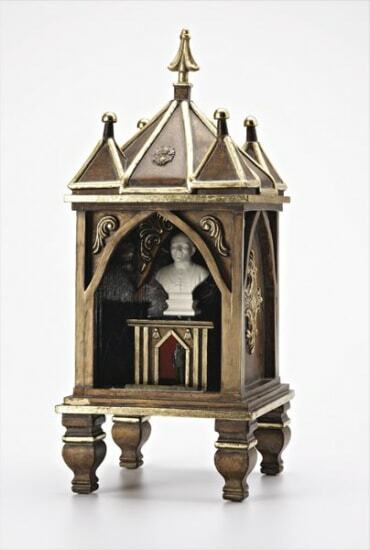 Cast figurines in gilt glass and wood reliquary. 66 x 26.5 x 27 cm. (26 x 10 1/2 x 10 3/4 in). Signed, dated 'Vallance 2006' and stamped with the artist's wax insigna on a label adhered to the reverse.